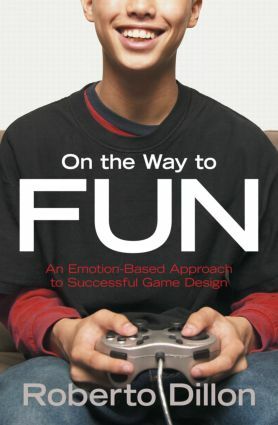 On the Way to Fun outlines a fine framework linking human emotions and instincts to successful game design, blending a theoretical framework with keys to analyzing game play. The framework is then applied to both successful and unsuccessful games to make for a fine survey for any who want to properly design and develop ideas to maximum benefit. I love the '6-11 Framework'. It's a brilliant analysis. Wish I'd thought of it. Emotion is essential to establishing a deep connection with games. So many games lack it, and this book shows the way. The analyses of retro and indie games, and how they invoke emotion through instincts, are insightful and well thought out. Looking at early games and how they created fun without many resources, and how some modern games can miss it, Roberto Dillon provides a thoughtful and solid analysis. On the Way to Fun is a choice pick for any would-be game designer. Through diagrams, screenshots, and dissections of each evaluated game, the author builds an admirable case for what amounts to a viable, tangible toolset for game designers to use in their never-ending pursuit of successfully injecting fun into their games. Such power is concentrated in this short, concise, and ultimately refreshing handbook … Highly recommended. Introduction: What Makes a Game Fun? What Are Basic Emotions and Instincts?